Destiny’s recent Alpha convinced me I’d love a shooter MMO that I’ve had little to no interest in up until now. It seems I’m not the only one enamoured by the Alpha; people played a heck of a lot of Destiny during the short time that the alpha was live. 6.46 million player games of the thing, to be exact. In a weekend update, Bungie released a bunch of stats on how much people have done in the game. In total, 6,461,871 Player Games were played. 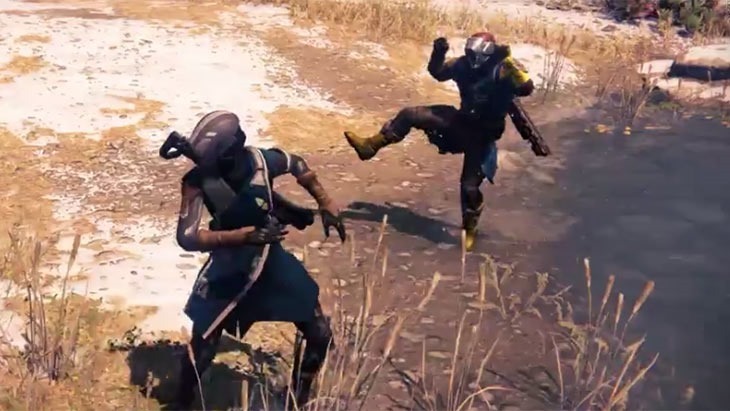 If I’d known that Bungie was tracking how much we danced, I’d probably have danced even more. I had far more fun with the Destiny Alpha than I ever imagined I would have, and I’m rather keen to give it another go when the Beta kicks off later next month. Destiny is coming in September for PlayStation 4, PlayStation 3, Xbox One and Xbox 360. A Pc version has not been announced, but it would a perfect fit, and I’d be rather surprised if it ended up not happening. The PlayStation versions of the game will feature a significant chunk of extra content that won’t be available on other platforms until next year at the earliest.